NOT PICTURED: GEORGE AND RINGO. 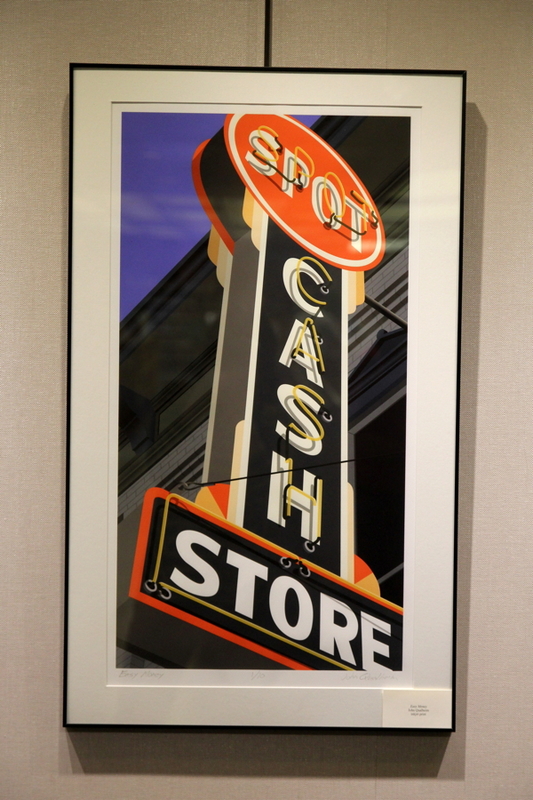 John Qualheim and Paul Cyr, who worked together for 25 years at at Greendoor Graphics & Advertising, have collaborated on a new exhibit of paintings, illustrations, and other artwork at the L.E. Phillips Memorial Public Library in Eau Claire. John Qualheim and Paul Cyr have lived in the Chippewa Valley their whole lives: John is a self-declared townie and North High School/UW-Eau Claire graduate while Paul was born and raised in Chippewa Falls and relocated to Eau Claire in 1982. 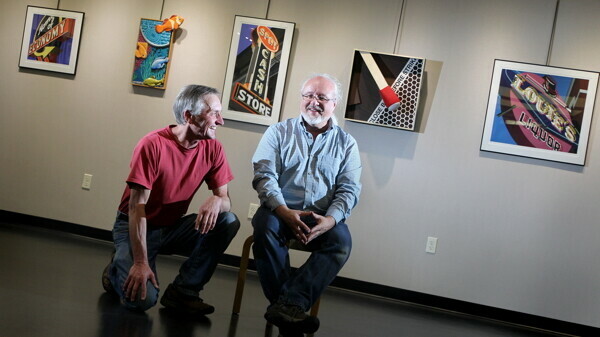 The two have been friends since their college days at UWEC where they both studied art and design. But more importantly, after graduation the pair spent more than 25 years working together at Greendoor Graphics & Advertising in Eau Claire until John’s retirement about three and a half years ago. Since the two friends have been working and creating together for so long, it only makes sense that their work is featured together in an exhibit at the L.E. Phillips Memorial Public Library entitled John, Paul & Art. The shows includes John’s illustrations and Paul’s paintings, sculptures, and drawings. John and Paul have both been creating art for as long as they can remember. Paul recalls one of his earliest memories of making art around the age of six or seven: “I talked my older brother into creating a bird book and, as I recall, we finished the cardinal and robin, then found something more interesting to do outside and never completed anything more.” He adds that art is still special and exciting for him today because he is always trying new approaches and techniques, including watercolor, colored pencil, sculpture, paint, etc. Paul says he doesn’t really have a favorite medium, and he is always willing to experiment with whatever will accomplish what he is working on. This adds to the self-described “eclectic” style of his pieces that graphic design elements and influence unavoidably spill over into as well.